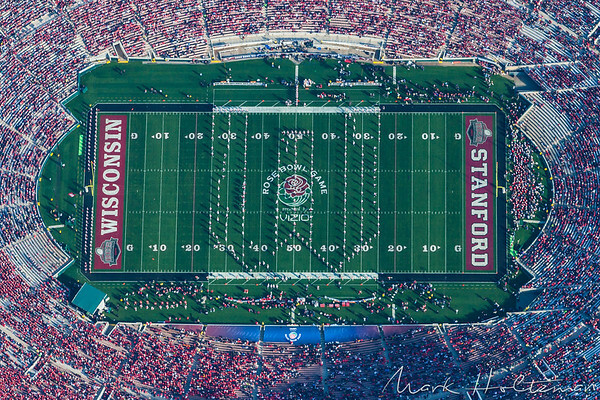 The 99th Rose Bowl Game between the Stanford Cardinal and the Wisconsin Badgers, played at the Rose Bowl in Pasadena, CA. Special discounts available. Please call or email for more information. Band and Football team editions available, as well.